No matter what surface you’re labeling, the compliance you’re facing, and the challenges of your label production, Ideal Print Solutions lives up to our name. Regulatory compliance reigns over many industries. Whether you’re dealing with UDI mandates for medical devices or FDA food labeling requirements, your labels must meet the standards—or risk the hefty penalties or high cost of recall. Ideal Print Solutions stays on top of compliance label requirements, so talk to us about your industry’s label regulations to ensure you’re in line with the rules. SUCCESS STORY: A Fortune 500 company manufactures paints, sealants and coatings that are used by the Department of Defense and civilian aerospace industries. The government’s mandate for Globally Harmonized Systems (GHS) labels required the company to make a significant shift in product labeling. The GHS labels required the use of a specific face stock, adhesive, and an ink match. With the pressure on the manufacturer, they looked to their label supplier for help. The vendor said they’d need 5 weeks to deliver a prototype. It wasn’t fast enough. They came to Ideal Printing Solutions, and we developed the prototype in three days. Once approved, we produced a full run of labels within one week. Ideal Print Solutions offers in-depth expertise and product knowledge, on a global platform and across major industries—Healthcare, Manufacturing, Transportation & Logistics, and Food & Beverage. 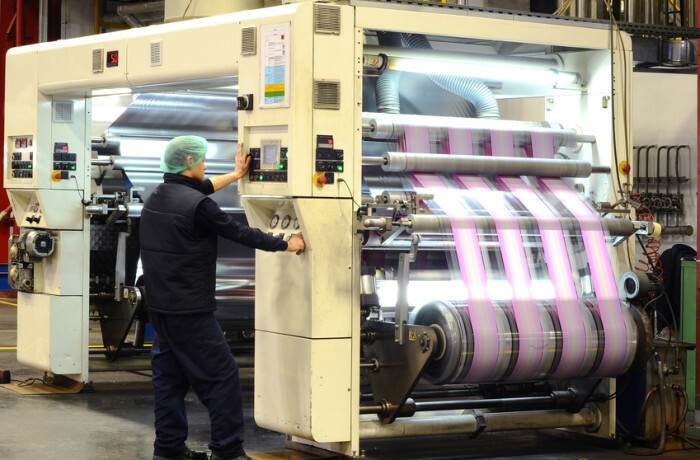 SUCCESS STORY: A global manufacturer of adhesives and consumer products needed a label printing solution to print GHS labels on demand. Their inventory was comprised of preprinted labels in 400 sizes, with dozens of iterations for each size. The volume created both inventory and compliance problems. Incorrect labels would be discarded, and the time it took to manage the vast amount of label choices was staggering. Custom labels required more than two weeks to produce, followed by a lengthy approval process, and the costs for new printing press plates. The company asked Ideal Print Solutions for help. We analyzed the usage for their entire label inventory. We then reduced the number of sizes from 400 to just 24, and eliminated the need to purchase preprinted labels. This changed enabled them to buy labels in bulk, a huge cost saving, and a return on investment in less than one year!